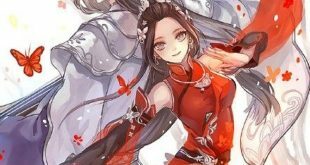 “Casina!” Orfina’s eyes swam in tears, looking at Yun Xi. “Casina!” Orfina wagged her tail, looking at Yun Xi. “Casina!” Orfina gazed at Yun Xi with a look that even the cruelest man wouldn’t turn a cold shoulder to. Yun Xi sighed and looked at Orfina, who was looking at him like a puppy who just lost her master. He really didn’t know the relationship between the “Ruby Princess” and his teacher Casina! What should I say now? Should I comfort her? “Whoa, my Casina can’t be so strong!” Orfina cried and just let the last golden gravel in the hourglass drop to the bottom. She had even prepared the dialogue of proposing after she won! She was just one step away from victory! But she lost! She was defeated both on the chessboard and in the world of loving! Who can explain this whole thing to me? The golden red mythical bird just waved its wings, the fire demon dragon I summoned was burned to ashes. Where was it from?! “Well… I’m not Casina…” Yun Xi persisted his claim. After all, he was indeed not Casina. “No! I know you are Casina!” Orfina ground her teeth. Orfina clenched her fists. Orfina raised her tail! She wouldn’t mistake her lover’s figure, and smell! She even firmly remembered the lengths of Casina’s fingers and the widths of Casina’s feet, how could she mistake her identity?! “…” Yun Xi was speechless while the sweat was pouring down his face. Fortunately, when Orfina’s time ran out, the Starry Sky Chessboard had automatically judged that she had lost. Realizing that the game was over, Orfina wiped her tears away and announced. Yes, this was her stage, her favorite battlefield. Casina liked the Battle God’s Championship Contest, she liked the Starry Sky Chessboard too. Therefore, she planned to propose to Casina after she defeated Casina in the game. The entire competition hadn’t finished, she still had a chance to meet Casina in this round robin tournament! She wouldn’t be careless at that time. She would get revenge, she would prove herself! Casina, wait for me. I will come back soon! After firmly remembering Casina’s appearance in her heart, Orfina finally disappeared from the chessboard. Yun Xi let out a sigh of relief. “I’m really tired.” This was the most tiring game Yun Xi had ever played! The golden red bird opened its wings on the star map, then turned into countless light points and disappeared. Before its figure completely disappeared, it also glanced at Yun Xi with a strange look. However, Yun Xi didn’t notice it. “Something isn’t right.” Mei’er found the problem behind it. When the golden mythical bird was summoned, she felt that the stele of the heavens had the sign of being activated. Something just leaked out from the stele of the heavens. “I saw nothing! I saw nothing! I saw nothing!” Mei’er sensed a fatal danger. Compared to her, the thing leaked out from the stele of the heavens was a real “disaster”! Master, what did you put into the stele of the heavens in your past life?! When the result of the game between Orfina and Yun Xi was published, a lot of engineers in the Mechanus God’s Domain stopped cheering. In the God Crystal, countless data were flowing through Alpha’s pupils. She was observing the record of “A Cloud in the Sky”. She wouldn’t rest too long. Soon after, she would put herself into another game, proving herself on this battlefield of wisdom! Victory! Victory! Victory! Cyber Elf Alpha kept winning! 42 victories in a row, 43 victories in a row, 44 victories in a row… when most Star Go players had only played 5 turns, she had achieved 60 successive victories, which only Norn the God of Wisdom had achieved before! After Norn the God of Wisdom, the second 6 star points chess player was just born, and this wasn’t the end of her victory! Compared to her, Yun Xi was leisurely playing with one chess player after another. “The level of everyone isn’t high…” After observing all the chess players he had met, he found a surprising fact that Orfina was already the strongest chess player. After the game with Orfina, he only met several 4 star points chess player, but none of them had 5 star points. Most chess players had only 3 star points and even only 2 star points. Their Star Go Strengths weren’t even stronger than Maha Mystery. No wonder that Teacher Casina had confidence in me! They are just a group of rookies! When Cyber Elf Alpha achieved 60 successive victories, Yun Xi just obtained 2 star points. His rank also ascended into the list of top 100. When Yun Xi thought that he could achieve his goal easily, the strongest opponent finally appeared. “The God of Wisdom?” Yun Xi looked at the code name of his opponent and the 6 star points above the opponent’s head in surprise. It’s an elite… no, the strongest Star Go player I have ever met!